A missile shield test was a “smashing success,” Pentagon officials said Friday, despite the failure of the test to put to rest concerns that the interceptor might not be able to differentiate between real missiles and decoys. The ground-based interceptor missile, launched from Vandenberg Air Force Base in California, destroyed a long-range ballistic missile launched from Kodiak, Alaska, the Defense Department’s Missile Defense Agency said. But one key aspect of the test — to see whether the system could tell the difference between a missile and a decoy aimed at confounding its “seek” systems — failed because the decoy did not deploy. 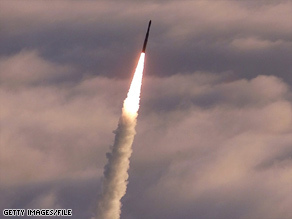 Officials told CNN on Thursday that Friday’s test would be the most realistic of 13 missile shield system tests conducted to date. Eight of the 13 tests have now been deemed a success by the Pentagon. You are currently browsing the archives for the decoys category.